I hope you guys read this! I own nothing and JKR owns all. Here we go! As I walked onto the platform all the girls heads turned to me. Over the summer my half Vela heritage had transformed me into an even more attractive man. I winked at a lot of girls as I made my way over to Blaise, Theo, Pansy, and Goyle. Only Blaise knew of me being a Vela. We all went to our compartment in the back of the train, when I caught the smell of my mate. You see when you are a Half Vela, you have 3 things happen, first you change into a stunning person who all of the opposite gender find attractive, then you get a mate, and finally you get to mark your mate. If you do not mark your mate, you die. So as long as my mate is accepting of me I&apos;ll be accepting of them. I told everyone I was gonna my to the heads compartment, I was head boy, and I went to find my mate. I fallowed the smell, vanilla and strawberries, till I reached the head compartment. I went inside and saw Hermione reading a book. I wanted to approach her calmly and explain everything to her and hope that she accepted me but my inner Vela had other ideas. I walked over to her and she looked at me. "Hello Draco. Do you know your  eyes are black?" She said my Vela couldn&apos;t handle it so it reached out to her and hugged her tight. 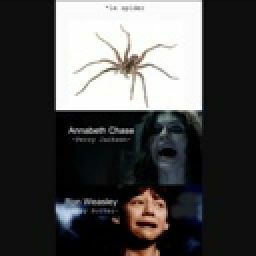 I walked onto the platform with the Weasley&apos;s and Harry. Ron and I decided to stay friends after the battle. We all said goodbye and Ron, Harry, Ginny, and I went on the train. We went to our regular compartment and talked about our summers. After a while I got up and said "I have to go to the heads compartment. I&apos;ll see you all later!" They said their goodbyes and I went to the compartment. I sat down and got out Hogwarts a history. I read for awhile till I felt someone in front of me. I looked up at saw Draco, but his eyes turned to black. "Hello Draco. Do you know your eyes are black?" He suddenly engulfed me in a bear hug. I was kind of spooked out but I just said "Are you ok Draco?" He growled and pulled me to sit in his lap and hugged me close. Thankfully we didn&apos;t have to give the prefect meeting till we got to school. 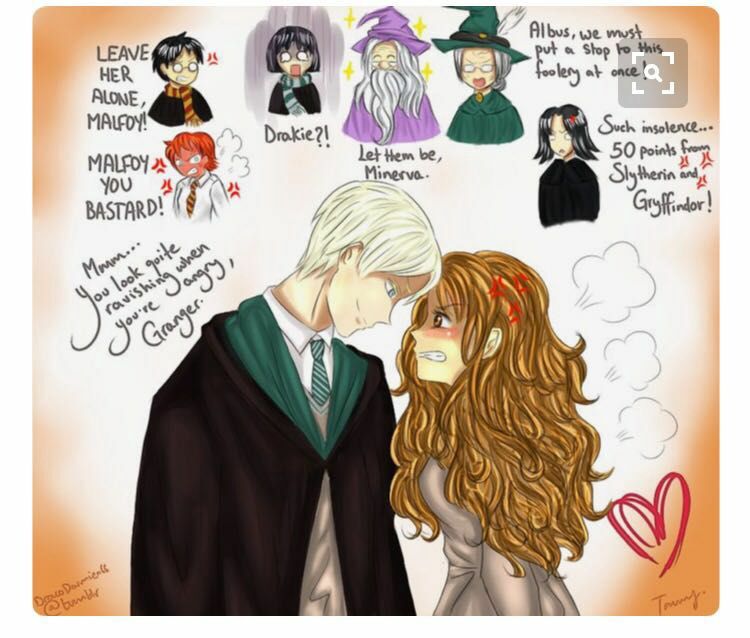 I didn&apos;t know what was going on with Draco but I planned on finding out. But right now I&apos;m tired. 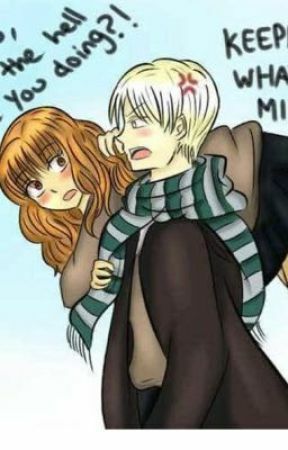 I fell asleep on Draco. I returned to normal and looked down to see my mate sleeping on me. I tucked some of her hair behind her ear and kissed her head. She cuddled up into me and my Vela purred in content. I put my arm around her waist and held her tight. After a while of watching her she started to stir. I just whispered "My mate. My mate. My mate." Till she went back to sleep. I hope when she wakes up she will actually accept me. There&apos;s chapter one!!! Hope you all liked it! Please comment and vote!